Based on the work permits filed with the DOB, the market will encompass at least 3,800 square feet. Most of these spaces have been vacant now three to four years. 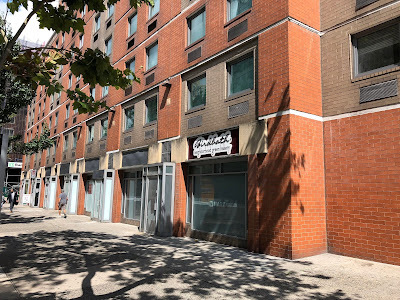 As for H Mart, this will be the third location in Manhattan (the others are on West 32nd Street and Broadway on the Upper West Side). Overall H Mart has more than 70 outposts in the United States and Canada. 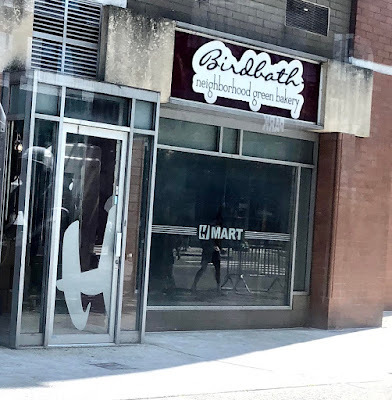 I'm familiar with the store, though I've never been inside one... if anyone wants to chime in about H Mart in the comments. West Side Rag has photos and insights (link here) from the H Mart grand opening on Broadway back in February. H-mart sells some pan-Asian as well as western products but is primarily a Korean grocer. I used to go to the HMart in Fort Lee and absolutely loved it! The fresh fish is amazing in quality and variety. I can't wait for this to open. FINALLY! Something that's not BS or a new hair cuttery, or another Ramen shop! Very excited about this addition! Nice! This should literally, and figuratively spice up the East Village grocery scene. I'm so excited! HMart has fresh Korean (and Asian) groceries and staples. I was so unhappy when M2M closed because I was able to buy stuff there. The quality wasn't always the best so I'm looking forward to HMart who usually has great quality goods. M2M had some of the freshest produce outside of Chinatown, their chives and scallions were always great. So glad to see HMart bringing products to the neighborhood that Target never will. Any updates to the H Mart opening?